Chemspeed is pleased to announce a new partnership with a group of Swiss investors organized by Investnet, a Swiss investors’ community. 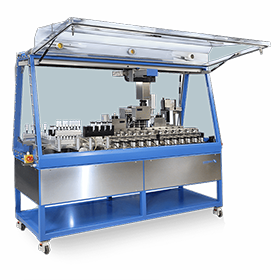 The resources brought in by Investnet enable Chemspeed to further boost its rapid growth path of the past years with its leading instrumentation solutions as well as with the revolutionary, enabling SMOLE / SMOLEFIN concept. 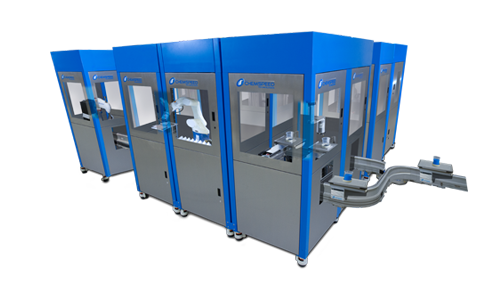 Chemspeed, a leading provider of cutting-edge automation solutions for research and development laboratories, recently signed an agreement to partner with a group of Swiss investors organized by the Swiss investors’ community Investnet. Investnet offered Chemspeed the most attractive package among a number of interested investors. “With Investnet, we found the ideal partner to further boost our rapid growth path of the past years in order to support the momentum.” says Rolf Gueller, CEO and Founder of Chemspeed. 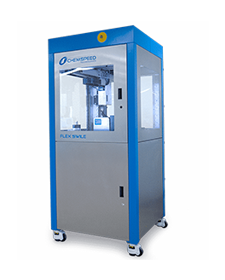 “Chemspeed has the potential to shape the growing global market of laboratory automation equipment – an exciting perspective to be part of.” says Andreas Etter, Partner at Investnet AG. In order to fully exploit their expertise, Investnet will also be sitting in the board of directors of Chemspeed. They will be represented by Walter Graenicher, a former member of the executive committee of Alstom as well as president of the ETH Alumni Association and Andreas Etter, Partner at Investnet AG and a former strategy consultant with McKinsey & Company. Investnet is a Swiss investors’ community, consisting of an investor club of entrepreneurs (Investnet Verein) and an investment advisory company (Investnet AG) which provides business support to the investors group before and during the investment period. Investnet provides successful, solid, medium-sized enterprises (KMU) in the German speaking part of Europe with growth capital, succession solutions and entrepreneurial know-how.